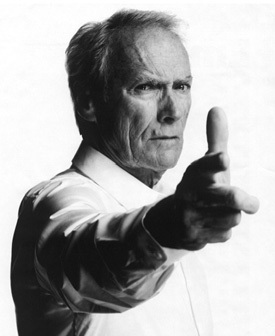 Clint Eastwood said to: Respect your efforts, respect yourself. Self-respect leads to self-discipline. When you have both firmly under your belt, that's real power. Self-Discipline is the hardest qualities to develop, yet without question the most important, as it is the very foundation stone of character and competency building. The trouble is that it is a very heavy stone to put in place. But there is a secret to lifting it and that is having motivation. Indeed the burden of developing your self-discipline is in direct proportion to the amount of reasons you have for doing something: The more reasons to motivate you do something – the lighter the load. And this is the best way to build Self-Discipline. People that do NOT take time to develop the habit of Self-Discipline make excuses. People that DO take time to develop the habit don’t have to – because they are prepared. When you do whatever it takes to get the job done, you significantly increase your preparedness. Then, when you recognize the right opportunities that present themselves to you, you are able to embrace them. The most important factor in goal setting is having lots and lots of reasons to motivate you. If you can have 50 reasons why you want to do something, then you are already halfway there to getting it and your self-discipline is well motivated. If you have only a couple of reasons, then it follows that you very soon start putting things off. The opposite of Self-Discipline is Complacency. And complacency is procrastination without a conscience. And when you have both firmly under your belt, you are really powerless.